An increasingly relentless “always on” workplace culture is encouraging employees that are off work and unwell never fully to switch off, a business psychologist and health insurer have warned. According to research by Professor Cary Cooper, professor of organisational psychology and health at Lancaster University, and insurance provider Ellipse, workers are becoming “STOIC”, or “sick though often inbox checking”. Employers, as a result, need to rethink their absence management techniques or risk creating a damaging culture of presenteeism, they have argued. As many as 80% of those surveyed continue to work despite being ill, with damaging effects on productivity and health, according to their report “Sick notes”. The report also identified other types of worker, including: the “Wickie” (working sickie); the “WIMP” (works ill moans persistently); the “Remote Republic” (people who work flexibly from outside the office); the “MIA” (missing in absence) or employers failing to record absences and therefore not managing it; and the “Serskis” (serial skivers). “For many people, gone are the days when you would simply phone in sick and sleep off a bout of flu. Today, we are more a nation of STOICs – or sick though often inbox checking – who are neither fully off work nor fully working, but often doing something in between,” said Cooper. “The pressure to work when ill and failure to address the condition early on are dangerous and often prove to be a false economy, contributing in some cases to chronic medical conditions,” added the professor. Worryingly, although nearly all line managers (90%) surveyed said that their employer had a formal absence procedure in place, 41% also admitted that they do not follow it. In addition, 45% said that the people responsible for absence management in their organisation were “either not the best people to deal with it or are not specifically trained or experienced”. In a separate study, one-third of workers have been found to be more likely to go into work ill because of the economic downturn. 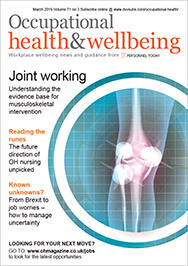 The Wellbeing at work survey of 1,600 workers, which was carried out by Nuffield Health, found that 30% were now more inclined to go to work sick as a result of the current economic climate. Around half of those choosing to turn up for duty while sick said that the most important factor in their decision was job security. Overall, nearly three-quarters (72%) of those surveyed went into work last year while sick. More than half (53%) went in with a contagious illness such as the flu or a cold.